There is no better way to reveal your pride and skill as a headhunter than to carry proof of your conquest wherever you go. For every kill you make, you can celebrate, and show it off, by wearing the Dark Elven Ear Trophy Necklace. Crafted entirely from foam latex, this ear is soft to the touch. It recreates the pointy shape of the typical elven ear in the darker skin tones that make the Drow so recognizable. Red gory backing gives it a realistic and fresh look. 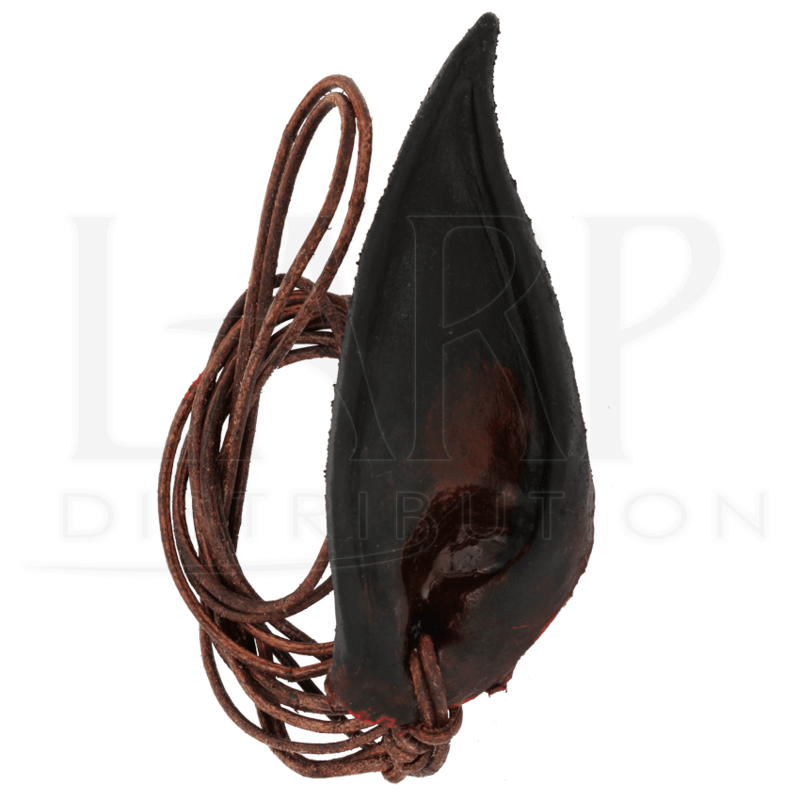 The ear also features an attached leather cord for easy carry and wear. 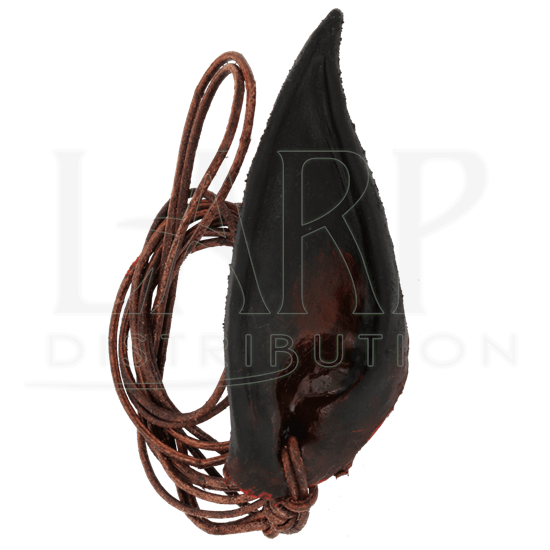 If dark elves are not your preferred foe, then have no fear, this Dark Elven Ear Trophy Necklace is not the only ear trophy that we offer!